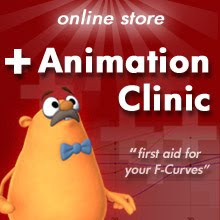 We are a small shop that both use hand key animation and motion capture. One thing to mention is that a mocap session usually is quite expensive (at least a mocap operator, a studio manager and sometimes a director and offcourse a performer) if you don't have a mocap setup in house, then keyframing is still a good way to save a couple of thousand dollar. But when a production gets bigger then there's a break even point which favors mocap very fast in our experience. To comment on your conclusion I can only agree and with that I think mocap is going to stay for some time to come. That's why we are not betting on a single technique, we try to make the handkey animation more zany and the mocap more stylized. As that seems to be pleasing our clients most. Since WHEN is "exaggerated naturalism" the goal of animation? There's so much more than animation can bring us than convincingly-moving biped characters of human proportions. I mean, COME ON. And Sid the Science Kid can NOT be considered animation. I think Henson himself calls it "digital puppetry". The difference in semantics is significant if you stop to think about it. Good post Keith. I'm pretty sure that it is indeed "performance capture" as I saw an article on the show in a magazine (think it was popular science of all things). One thing that would make it tend to work more would be that the suits the captured in forced the actors to the proportions of their characters - almost like wearing a mascot costume at Disneyworld or something. There is definite strength there in terms of certain performances however, you couldn't put someone in a mickey mouse costume and and expect to capture a mickey quality performance, people just don't move that way. @Anon: I didn't say that the only goal of animation was exaggerated naturalism. I said the predominant apprarent goal for much of CG feature film animation is exaggerated naturalism. If it weren't then video reference would not be such a popular technique for animators. Anybody who watches films like Bee Movie, the Shreks, The Incredibles, Ratatouille, Over the Hedge, Monsters Inc., Toy Story 2, etc, etc.. - anybody who watches these films sees that there are many, many scenes in those movies where the goal is to get very humanly proportioned characters to move in very convincingly natural ways. Not every scene, for sure. But a lot. To deny this is to be an idealogue and we'd not be intellectually honest with ourselves. So if the goal is to get those characters in those moments to move in an exaggeratedly natural manner, hand keying might not be the best approach for those moments. Not ALL moments in every film. Just a lot of them in many films. In some cases more than half of them. You are correct, the Sid stuff isn't 'animation'. I don't think I said it was- I'm not that stupid. :) But nobody but animators cares, really. General audiences don't care. However the Sid stuff is CG rendered. What have been commonly called CG animated films are starting to become CG rendered films. There are already many Cg rendered films that have met commercial success that employ the mix of mo-cap and hand key. Several of them have been nominated for Academy Awards, and even won an Oscar. Thus looking at all CG rendered projects that have a certain type of motion as a style, then it makes perfect sense to look at the results of different methods of creating that motion. The point I'm trying to make is that if the goal of a scene or an entire CG rendered film/show is to have exaggerated natural motion, then it makes sense to look at how to best achieve that style of motion. You're correct. Mickey Mouse, when done properly, cannot be done using mo-cap. The style of motion that applies to a character like Mickey Mouse, in general, is not what I'd call exaggerated naturalism. I'd call it highly exaggerated performance. It's a style of motion that can only be hand crafted. Very, very little about the way classic cartoons move can be naturalistic (even if you make CG versions of them). In those instances it makes absolutely no sense to try and use a mo-cap method for generating the motion. Up til now casting for mo-cap has been very slap-dash and sloppy and poorly thought out. I accepted that as the status quo until I saw the Henson stuff and then I realized that people are waking up and they are starting to really think about how they cast and direct for mo-cap. I don't see this as a continuation of the old tired debate. I'm trying to have an honest look at the final Cg rendered product on screen, and from there seeing how different methods for creating it are either more or less successful. It's not as cut and dry as some folks would like it to be. Great read Keith, glad to see it written up that way. For any one thinking that there still is a debate, look around at the production world and you will see that the only people still "debating" are the ones that are in denial. Mocap is just about every where and being used well. It is a good tool when used correctly, you don't use a hammer on screws or a screw driver on nails... and you don't give either to a person who has no idea what they are or how to use them safely. Yet this is what happens on project after project. People useing the wrong tools for the wrong reasons with out any idea how best to get the correct end result-something that is entertaining to watch and enjoyable for the audience. ILM, WETA, Henson, get it right and have for a long time now. I think you've hit the nail on the head. The only reason animators still have jobs is because nobody else can do what we can do. To future-proof our careers, we have to focus on developing new things that only we can do instead of polishing our soon-to-be-irrelevant skills. I think this kind of "do the things that nobody does better" philosophy applies to all kinds of fields, especially in the arts. Stage plays are best when they aren't trying to be movies. Radio is best when it isn't trying to be television. Paintings are (arguably) better when they aren't trying to be photographs. If more people would observe these boundaries, crossing them only when there was a purposeful reason for doing so, there would be fewer creative dead ends in this world. I have a lot of respect for what you do because you don't just write about the problem. You're actively anticipating the future of animation and adapting your skills in preparation for it. Keep up the good work, and please keep documenting your progress so we can all be inspired. even if the mocap systems would be cheaper as they are now.. I don't think it will ever be better than a hand-keyed animated shot.. a well acting shot...even if the mocap performer could make tons of shots/takes very fast to get the director's aproval.. it wouldn't achieve the subtext, the right acting choices, appealing and good handling of shapes on screen that a good handkeyed animator could achieve... I often see in live-action films/series.. 'bad animated' actors/actresses, with those 'exagerated realism' on their motion(of course cuz they are human beings) but not convincing or entertaining enough to the audience..
JOE here . . . I think you're right to say that exaggerated naturalism will end up in the domain of mocap. However, I think another thing to keep in mind is that exaggerated naturalism will still be done by keyframers in the future with regards to animal animation. For creatures with long necks or long legs or wings, it is unlikely that they can get a good mocaped performance out of a critter, so keyframers will still have to do that, AND if exaggerated naturalism is the style for that picture - they'll have to keyframe it like that. So my question is how to adapt? I'm a character animation student at a certain online school right now, and for our assignments we are shooting ref video etc. I guess according to your thoughts, this could be a dead end. So what should we be looking to do? Maybe we should embrace Mo-Cap? I mean a trained character animators eye would be a bonus for direction and input for Mo-Cap right? Anyways, I guess this post got me a little freaked out, because I'm so new to this field that seems to change all the time. Aaron I know how difficult it can be to be studying animation theory and principles when a new technology comes along and "outdates" what you're learning. But, being an animator in this day and age there is no better way to stay afloat then to have as many tools in your toolbox as possible. And learning the mechanics of motion by filming yourself or watching other video reference and then exagerating that motion with animation is a very invaluable tool indeed. Interesting read but I find it problematic for some reason. I don't understand how you talk about that stuff divorced from all the other areas of a production. If the writing, direction, cinematography, sound, visuals etc. etc. in a production are going for "exaggerated naturalism" then shouldn't the style of the animated performance follow suit? I guess I wonder if the article would work better if it wasn't a warning to animators to examine their goals of what kind of style they want to be known for; but instead, was a plea to writers to come up with more appropriate stories to tell with animation and for executive producers to have guts to greenlight those projects. Presto would be a great example of what is not "exaggerated naturalism" if the surfaces, lighting and rendering were consistently "supernatural" or "impressionistic." I was trying to think of a good example that was feature length..."Cloudy With A Chance of Meatballs"? Might be better though there's still some inconsistency in the trailer. Keith, I just wanted to say you rock man!!! I'm glad you post whats on your mind, I always find your site interesting :) Thanks Man!